Growing up around Rome’s gelato joints and trattorias taught the New York hospitality maven everything he needed to know to design his greatest hits. 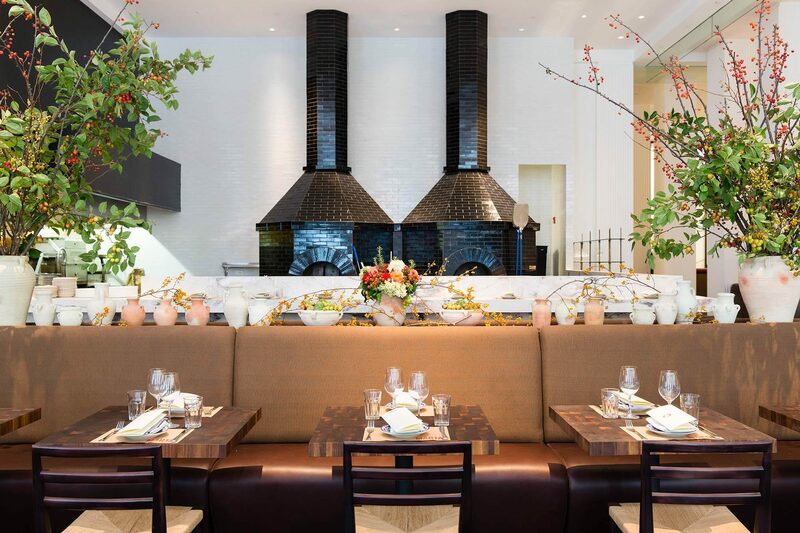 Union Square Hospitality Group founder Danny Meyer may be known as one of New York’s foremost restaurateurs, but it is his lifelong love of the Eternal City (rather than Stateside trends) that informs his most beloved culinary ventures. Though his most recent restaurants—Manhatta in the Financial District and Tacocina in Williamsburg—don’t bear obvious references to Rome, they reflect the lessons in hospitality and design he learned over a lifetime’s worth of experiences there. 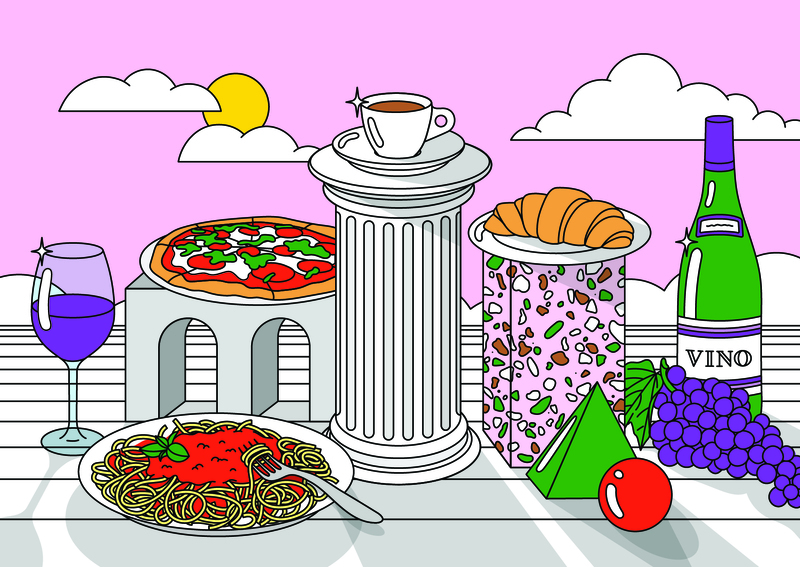 Meanwhile, Meyer’s passion for the Italian capital shines through at the five Roman-influenced spots he’s launched over the years, including the pizzerias Marta and Martina, old-school trattoria Maialino, Caffe Marchio, and aperitivo bar Vini e Fritti. 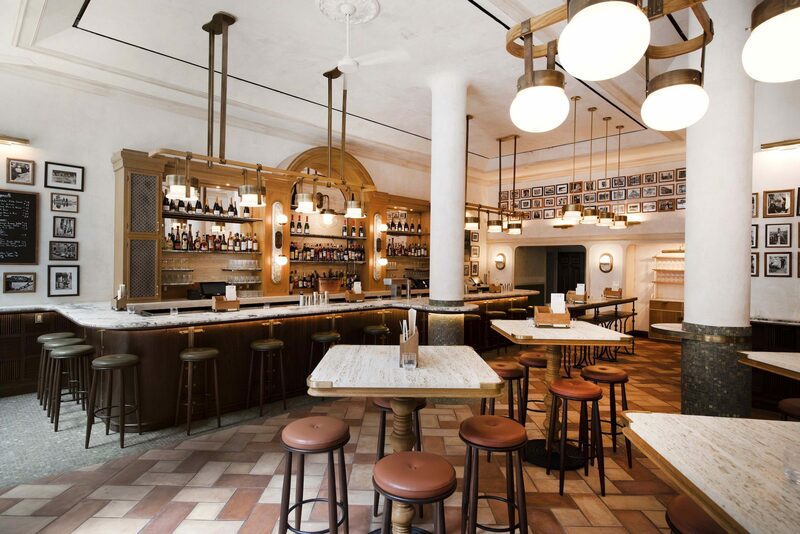 For the latter two spots, which opened in late 2017, Meyer and his team tapped Brooklyn-based Home Studios to handle the design, sending them a list of 23 Roman bars, restaurants, gelaterias, and cafés to inspire the look. With terrazzo floors, travertine tabletops, and black-and-white photos in simple wood frames, the two gems instantly transport you to Meyer’s spiritual home. Here, Meyer talks about the profound impact his Roman experiences had on his sensibility as a restaurateur. “[My love affair with Rome] began with my 12th birthday. My dad had a multiyear lease on a hotel called the Cesare Augusto. It was a disaster from a business standpoint: Every three months or so the staff was going on sciopero (on strike), so he was spending all this time making beds and being away from us in St. Louis. But that [occasion] was probably my first visit. I remember almost every single meal I had. I remember the buzzing music of motorcycles, the garlicky wafts of tomato sauce flowing from building windows each morning, travertine sidewalks, potable water fountains everywhere, trattorias set with tables that were far closer to one another than I’d ever experienced, waiters that moved confidently through bustling dining rooms while carrying bowls of pasta and plates of artichokes and eggplant. I loved the chaotic cacophony that always led to a really good meal. When I was 20, I went to work for my dad as a tour guide and lived in a hotel right next door to Piazza San Pietro. I would pick up the tourists at Fiumicino a couple times a week and take them on bus tours and to trattorias. I went back to Trinity College in Hartford, Connecticut, for the fall semester, and then returned to Rome to study international politics in the spring, but I was spending all my time in trattorias and gelaterias. I grew up in La Taverna da Giovanni on Via di Santo Spirito, right across the bridge from the Castel Sant’Angelo. There was also Al Moro, Cecchino dal 1875, Da Enzo. [My first restaurant,] the original Union Square Café, which I opened [in 1985] when I was 27, would have been a Roman restaurant, except I was afraid. In the arc of any professional career, there’s a need early on to stake a claim on a point of view. The Roman point of view is so specific that if I had done that right off the bat, I [wouldn’t have been able to say what] I wanted to say. 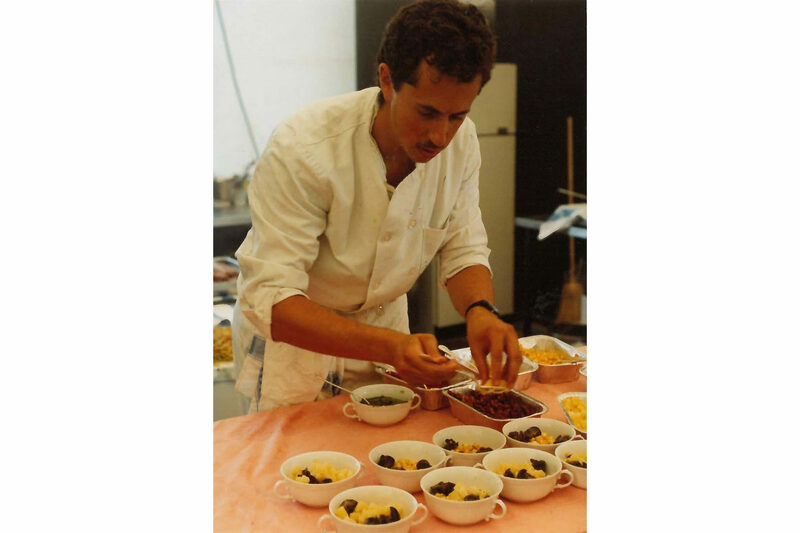 It wasn’t until 2009, with Maialino, that I had the confidence to launch a specifically Roman restaurant. I worked very closely with David Rockwell, and we spent lots of time discussing trattorias, giving equal attention to design and function. In many cases, the trattoria—a timeless expression of simplicity—told us what not to do as much as it suggested what design elements to incorporate. The best part of trattoria design was the near absence of it. No one was trying too hard to be too design-y or too modern. Lights, tables, chairs, refrigerators were utilitarian and without pretense. Maialino’s high wainscoting is the part most reminiscent of Rome to me. It gave the restaurant a virtual hug and made the guests know they were safe and at home. 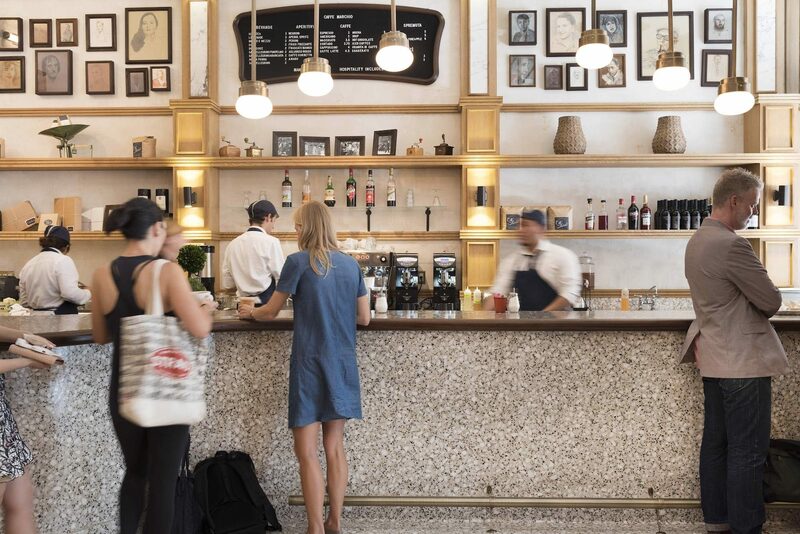 At Caffe Marchio and Vini e Fritti [designed by Home Studios, also in the Redbury Hotel], the terrazzo floor, marble-top table, and ridged wood wall treatments are things you would absolutely find in trattorias, ristorantes, and hotels there. Getting the coffee right has been a joyous problem to solve. [The Joe team] has found a way to transport us all to Rome—you feel the experience of standing up at the counter. Each of the restaurants I’ve created—like Gramercy Tavern, Blue Smoke, Tabla, Marta—expresses an authentic respect for a particular genre of dining I love, yet understands deeply that it lives in New York, not in New England, or Tennessee, or Mumbai, or Rome. You don’t want people to feel like they walked into Disney World. Nothing is authentic if it ignores where it lives.